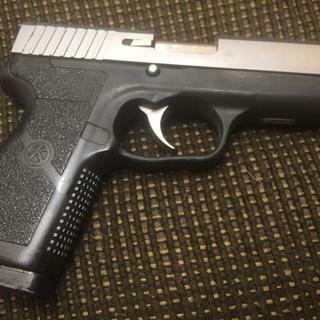 The CW9 9mm from Kahr is a compact, lightweight pistol for personal defense. If you're looking for a versatile, easy to shoot gun, look no further than the Kahr CW9. It fits just-right, handles like a dream and a straight-shooter right out of the box. At just 0.90" wide, its slim profile is easy to conceal and affordably priced. The Kahr CW9 an excellent choice for both beginners and experienced shooters. When you are looking for a handgun to do double-duty as a carry gun and home protection piece, the Kahr CW9 pistol is a viable choice. 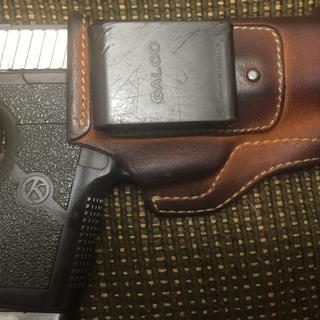 Palmetto State Armory offers a great selection of Kahr conceal carry pistols! One of the most reliable, rugged and comfortable concealed pistols I’ve ever experienced. 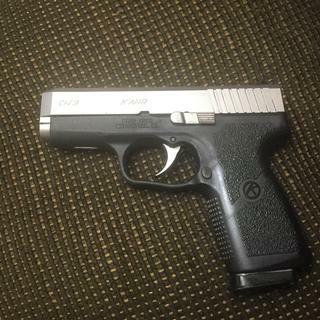 Not long after Kahr launched the CW line, I bought one of these new in mid-2011, a week before taking my CWP class. It has functioned spectacularly for nearly a decade of every day carry. 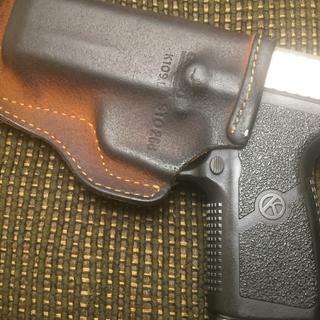 (I purchased a Galco 1911 holster the same day, which works great for this gun to this day) The way to the class was a 40 mile ride or so up the interstate. This pistol, round chambered and my phone were in my recently purchased and stupidly un-stress tested motorcycle tank bag came off the bike as soon as I hit 95mph for a brief moment while passing some 6am early morning motorists. I pulled over fast as I could and ran back up the thankfully not very busy interstate. My phone had turned to dust the bag had some tears. The only evidence of the high speed tumble in the pistol was a magazine baseplate that popped up, dumping the mag into the bag. Popped it all into place and the gun had since fired thousands of rounds without issue or any indication of sight alignment problems. I have dropped it a thousand times in all kinds of conditions, been involved in helping break up street fight in which I essentially tackled a big dude and in wrestling him down landed with both of our weights on top of it and the Galco clip ( nice gash in the plastic but it has held up amazing too) Anyway, nothing has harmed this gun that I have carried well over 1/4 of my life and I still trust it like it I just finished the 200 rd. Break in period. Round can be loaded onto the tube like any other pistol without using slide release by racking the slide in the proper manner (pull back until it comes out of your hand and full spring tension slams forward), but with just a tiny dash of extra oomph in the pull. Also, occasionally the mag release needs to be oiled, especially if you have sweated on it as much as I have. First time I didn’t do it for a whole and a little bit of rusty dust got on there and didn’t effect its engagement, but slowed the button push down a bit. Pulled it apart and cleaned it up and since oil It occasionally without issue. Phenomenal gun. At this low price, I may buy another just for the heck of it. I purchase mine here on sale..good gunmost comfortable gun outa my glocks and 1911slove the slim design but wish it had a few more roundsclips are expensive and the aftermarket ones will eliminate the 1st round loading issue on these..you cant grab the sliderelease cause it wont push the bullet into the chamberowners manual state "you must use the slide release to load a new round" wierd deal but not a big deal as ive learned if the slide sticks[never does using the slide release]pulling it back.You can just hit the back of the slide and it will load.noticed you can push the bullets down in the clips and the nose wont pop back up..the aftermarket mags are supose the not do this i read.Never had a single issue other using it as the owners manual sugests.just know if your use to pulling back on the slide to release itit may not feed without hitting it. you must use the slide release per the manual to load the 1st round OR force the bullet in by hitting the slide.